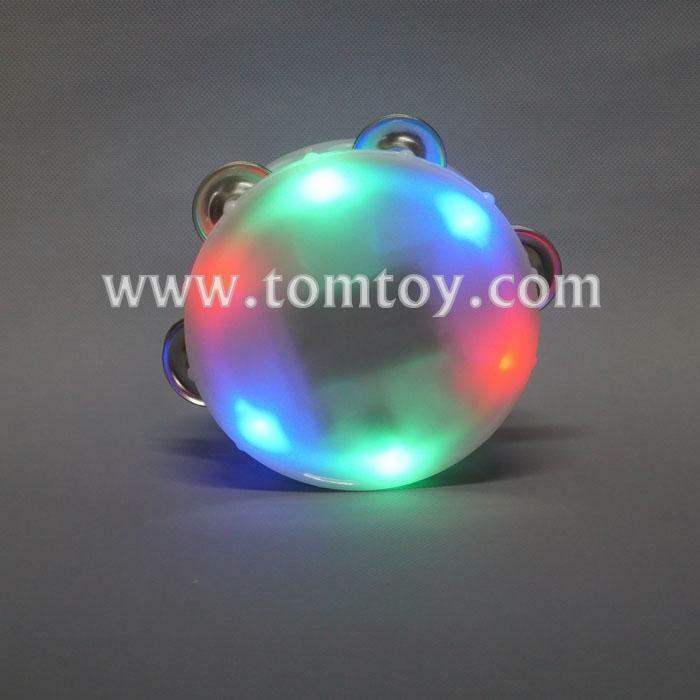 1.This is a milky white tambourine. 2.Four pairs of metal bells make it more durable. 3.Three flash mode:twinkle-fast flash-flash change-off. 5.With 3pcs AAA batteries included.